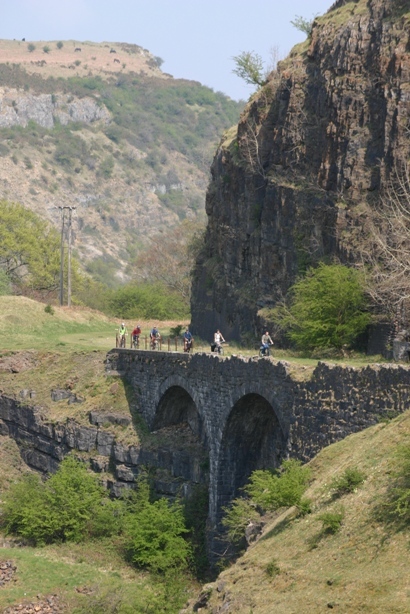 Passing high above the Clydach Gorge is a breath-taking and almost entirely traffic-free cycle and walking route. The route is 8 miles long and links Llanfoist, just to the south of Abergavenny, to Brynmawr. The path is part of the Heads of the Valley route (NCN 46) and joins route 492 at Brynmawr. The route follows part of the former Merthyr, Tredegar and Abergavenny Railway which itself started its existence in 1794 as the Clydach Rail Road tramway carrying raw materials to and products from the iron works of the Tredegar Iron Company. The railway included a number of steep inclines with gradients as steep as 1 in 34, making it more expensive to run than other local tracks; and it was closed in January 1958. 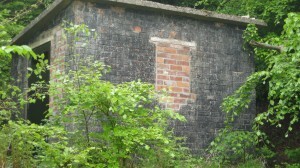 Some of the tunnels that this railway route used are currently blocked so an alternative cycle route has been created using the old tram road that the railway replaced in 1864. For more information, visit Routes to Ride . 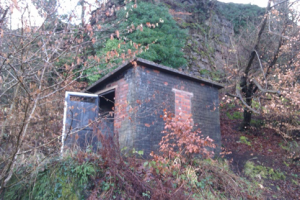 In February 2014 Sustrans Cymru converted a dilapidated former railway mans signal hut into a bat roost on this route with the help of the Vincent Wildlife Trust. The roost is being regularly monitored and is already being used by the local bat population which is great news.